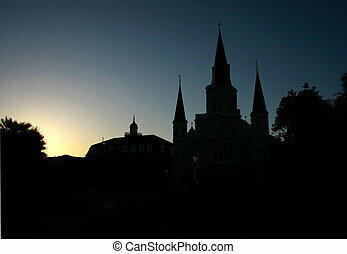 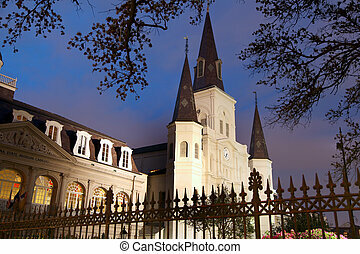 St. louis cathedral in jackson square new orleans, louisiana, united states. 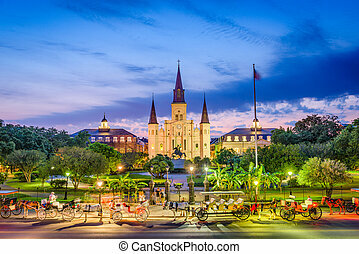 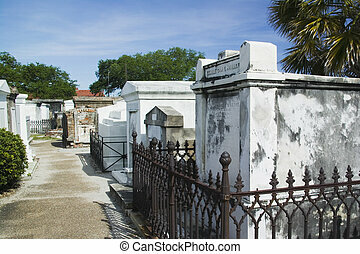 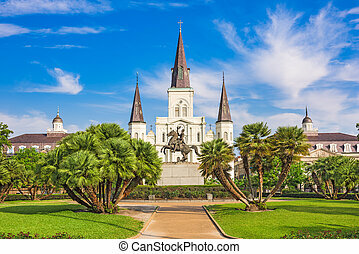 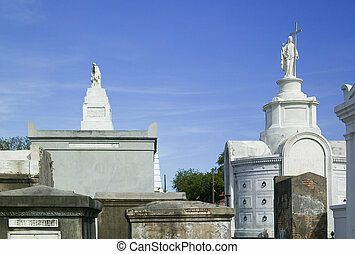 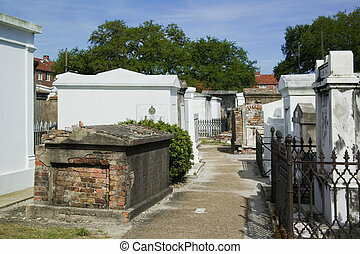 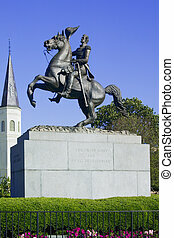 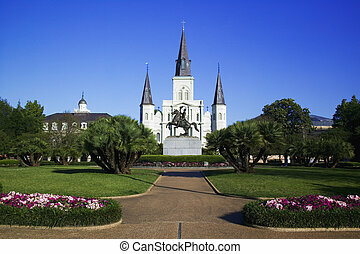 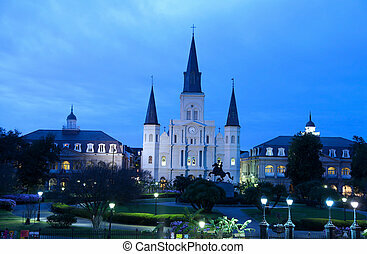 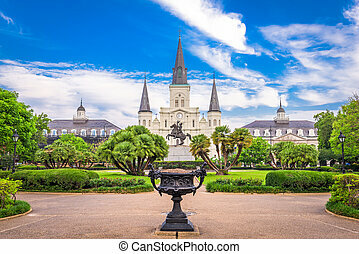 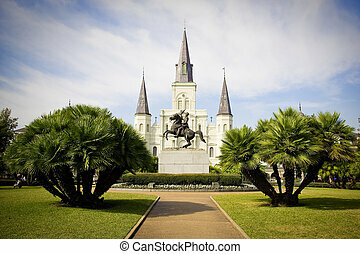 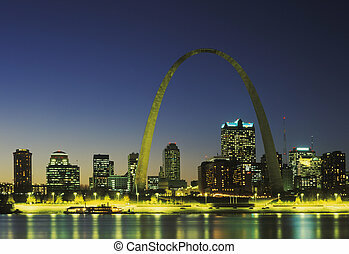 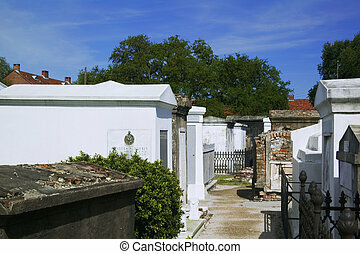 New Orleans, Louisiana, USA at Jackson Square and St. Louis Cathedral. 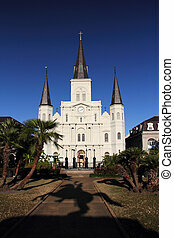 St Louis Cathedral at Jackson square in French quarter, New Orleans. 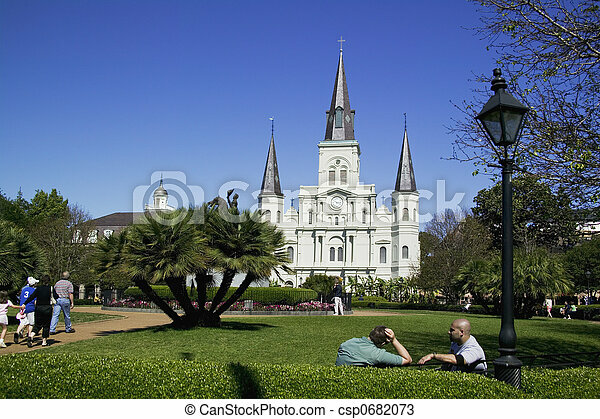 NEW ORLEANS-March 10: St Louis Cathedral on March,10, 2012: St Louis cathedral in New Orleans was designated as a minor basilica by Pope Paul VI in 1964. 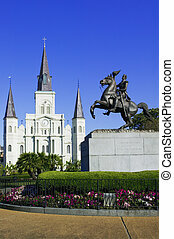 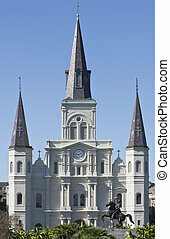 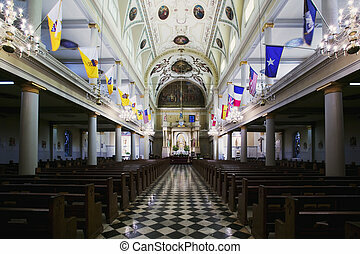 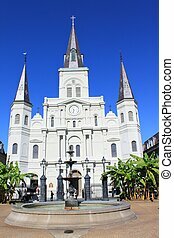 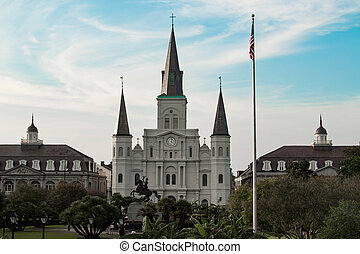 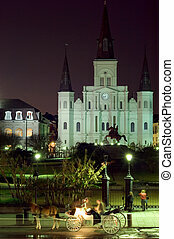 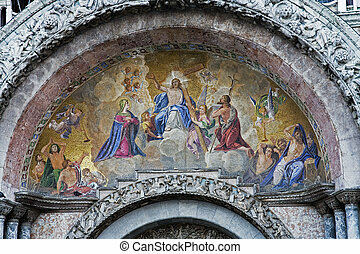 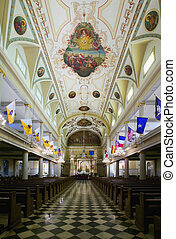 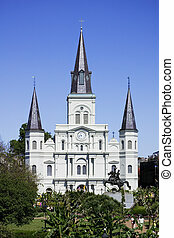 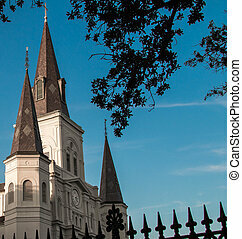 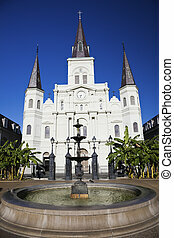 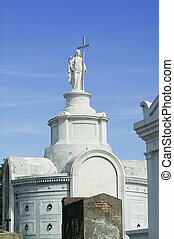 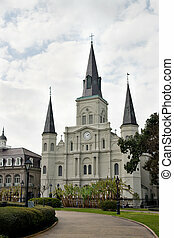 St Louis Cathedral, in Jackson Square, French Quarter, New Orleans.